AC Voltage Sensor Products - DARE Electronics, Inc. Continuously monitor single or three-phase power lines for over or under voltage conditions with DARE’s AC voltage sensors, voltage monitors, and voltage sensing relays. DARE’s complete line of AC Voltage Sensors will protect system equipment and circuitry from voltage that is hazardous or unsuitable for operation. Whether in an airborne, ground support, military, or other high reliability application, DARE AC Voltage Sensors can be used to monitor for an under-voltage or over-voltage condition or a voltage window. In the event the voltage sensor detects an undesirable voltage condition, the output of the voltage sensor can be used to activate alarms, shed loads, or shutdown systems. DARE AC Voltage Sensors come in wide variety of finishes, enclosures, connectors, and mounting arrangements and custom configurations are available. 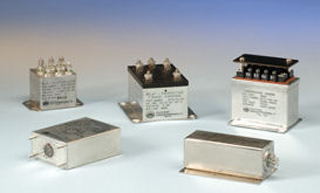 The table below describes just some of the various types of voltage sensors available. Consult our AC Voltage Sensor product datasheet or a sales engineer for more information.